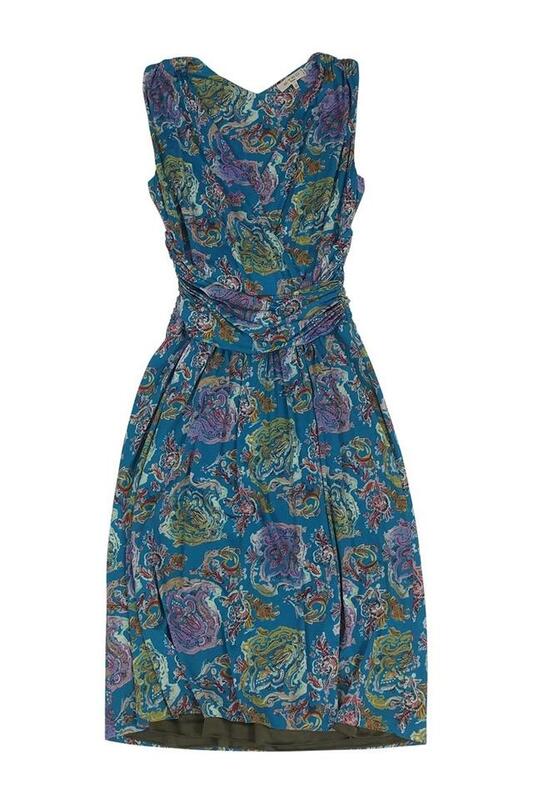 Is there anything better than a well-made dress that you can wear again and again? 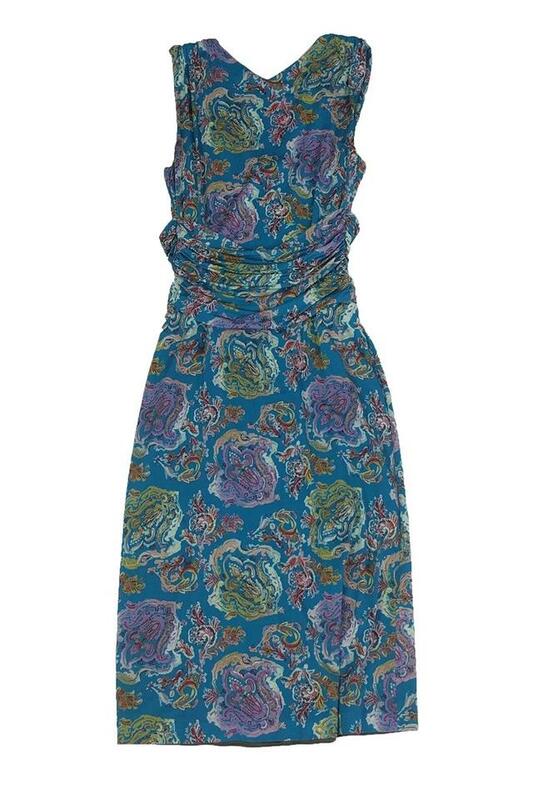 This Etro paisley print dress fits the bill. Made of flowing fabric with a gathered waist, v-neckline and fun paisley print, you can wear this on casual Friday, then swap your heels for sandals and meet up for drinks with the gals after work. Fun, colorful, over-sized earrings make the look complete!